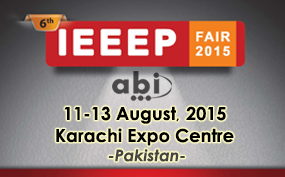 ABI Electronics will be represented at IEEEP (Industrial Electrical and Electronics Exhibition Pakistan) which is organized at Expo Centre Karachi from 11-13 August 2015 - Hall No.1, Stall No.29. 6th IEEEP Fair 2015 is the biggest Electrical, Electronics and allied engineering industrial Exhibition in Pakistan, showcasing the largest collection of industrial merchandise and services. Foreign exhibitors from neighboring countries plan to use this platform to launch their products in this region.